On this tour, you will explore great rock formations and caves! In Scheidgen, leave the car next to the church. Follow the footpath "Auto-Pédestre" (blue triangle on a white background) and you will walk past the rock formations of Dachselee and Härgottskapp. When you leave the forest, you turn back right to the parking area. Walking distance: 3 km; Time: 50 min. You then drive through Consdorf towards Mullerthal. Leave your car at the parking lot of Consdorfer Millen, cross the road and turn left into the forest. 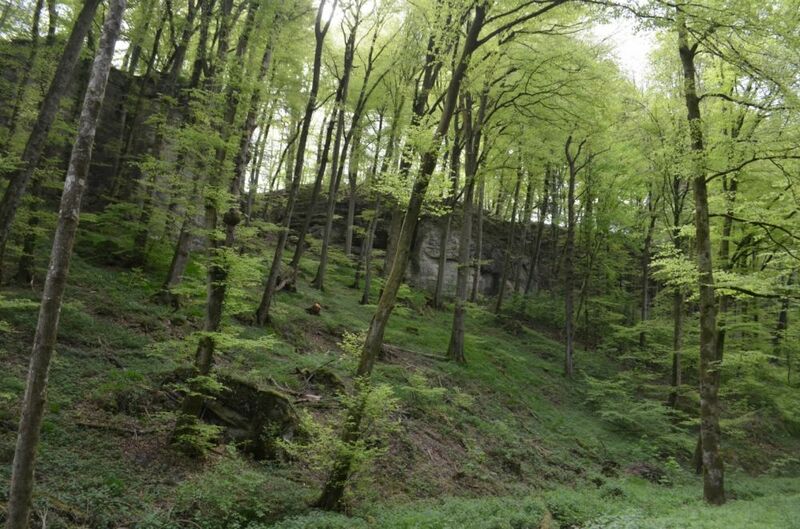 On Mullerthal Trail, you will come to Kuelscheier and pass the narrow and dark rock passages of Rittergang and Déiwepëtz. Not suitable for claustrophobic people; you need a flashlight! At the pond, you turn left and go back straight ahead to the car. Walking distance: 3,5 km. Time: 75 min. You continue towards Mullerthal and turn right at the bridge Breidweiler-Pont (by coach, you should turn right the next road after Consdorfer Millen, direction Mullerthal). After 300 m, you leave the car in the parking lot and walk on the forest path to the cascade of Schiessentumpel. Walking distance from the car and back: 1 km. In the village of Mullerthal, you can stop at the Touristcenter Heringer Millen, where you can borrow hiking equipment for free. Drive back to Scheidgen by Consdorf.